Full cushion leg and foot support designed to provide optimal padded comfort. Performance design includes stay-up top to keep socks from sliding down and arch support that provides added fit to keep socks in place so there is no slipping and bunching. 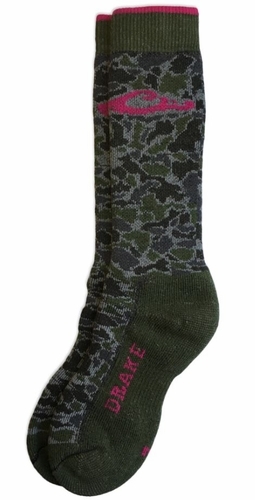 Natural moisture wicking feature allows wool blend to dry fast and keep feet comfortable and warm for long hours. Smooth tow seam protects against abrasion and provides enhanced comfort to keep feet extra comfortable. Reinforced heel and toe delivers added durability for extended wear, boot length is longer than a crew.